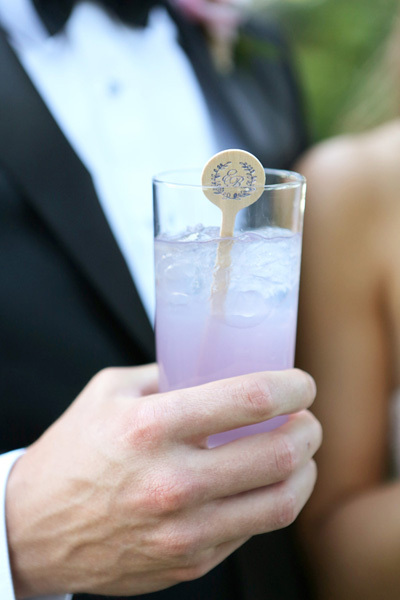 There's something really lovely about a cocktail that matches your color palette–but you shouldn't sacrifice taste to your Pantone swatches! In the Violet Hour, harmony (for lilac-loving brides, at least) is achieved. Combine gin, lemon, syrup and crème de violette in a shaker with ice. Shake vigorously for 10-15 seconds. Strain into a Collins glass filled with ice; top with soda. Notes: Whenever I feature a cocktail with crème de violette, I recommend Rothman & Winter's excellent product. You'll see nothing has changed. As for the gin, I'm staying from my usual favorites and suggesting a dry style that's heavy on the juniper–Broker's in particular.